Edgar Degas 1834-1917: Original Wax Sculptures, M. Knoedler & Company, Inc., New York, 1955, no. 65, repro. Pingeot, Anne. Degas Sculptures. Paris, 1991: no. 59. Campbell, Sara. 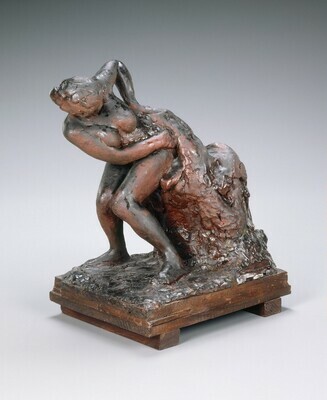 "A Catalogue of Degas' Bronzes." Apollo 142 (August 1995): 10-48, no. 46. Lindsay, Suzanne Glover, Daphne S. Barbour, and Shelley G. Sturman. Edgar Degas Sculpture. The Collections of the National Gallery of Art Systematic Catalogue. Washington, D.C., 2010: no. 54, 307-310, color repro.